Dessertbuzz | Killed By Dessert San Francisco Dinner – photo slideshow. 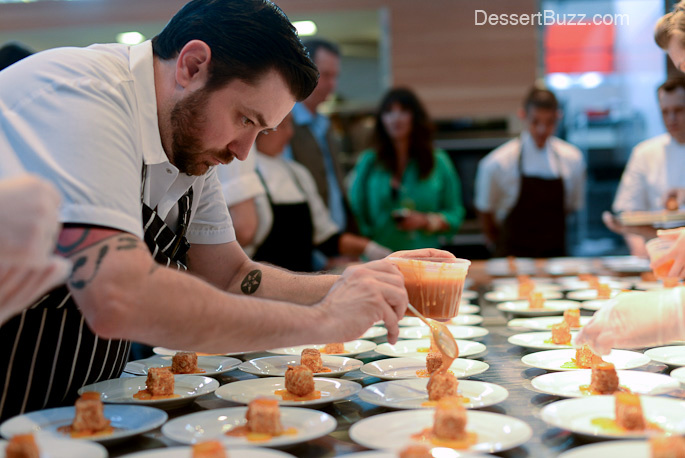 Killed By Dessert San Francisco Dinner – photo slideshow. To me, these photos (and the slideshow below) explain what this event is about. I have no idea if the chefs would agree with me but I do know the guests would. 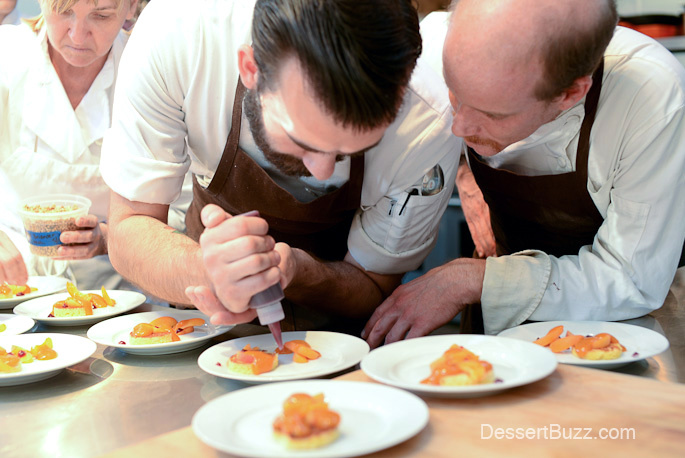 Essentially, it’s an answer to the question: “tell me about Killed by Dessert–what’s the difference between that and going to a 6-course dessert tasting at a nice restaurant?” The photos show the intensity that pastry chefs at this level work at. 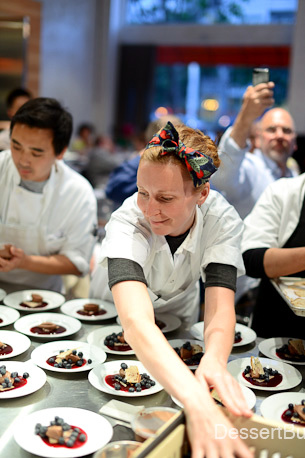 And also how fun, enjoyment and intensity seemed to coexist at Killed By Dessert. The chefs are obviously enjoying themselves but at the same time check out some of the expressions on their faces! The details of their plates (or their colleagues) are like hot wires and they’re trying to defuse the bombs! If you look closely there’s at least one photo of each chef smiling too. And these don’t look like “mugging for the camera” smiles -these are “I’m proud of this damn dish” smiles. All of this is usually out of view at a restaurant–but not here. You get a rare glimpse into their world. How close? The chefs even invited the attendees to help plate! The Killed By Dessert charity “dinner” held at the San Francisco Cooking School with Christina Tosi of Momofuku Milk Bar, Brooks Headley of Del Posto, Lincoln Carlson of the Michael Mina Group, Bill Corbett of Absinthe, Michael Laiskonis (formerly of Le Bernardin) Matt Tinder of Coi (who replaced Francisco Migoya) Each chef created two courses plus an appetizer. Mignardise were made by William Werner of Craftsman & Wolves and Michael Recchiuti of Recchiuti Confections. All proceeds from both events benefit Share Our Strength’s No Kid Hungry campaign; The event raised over $20,000. 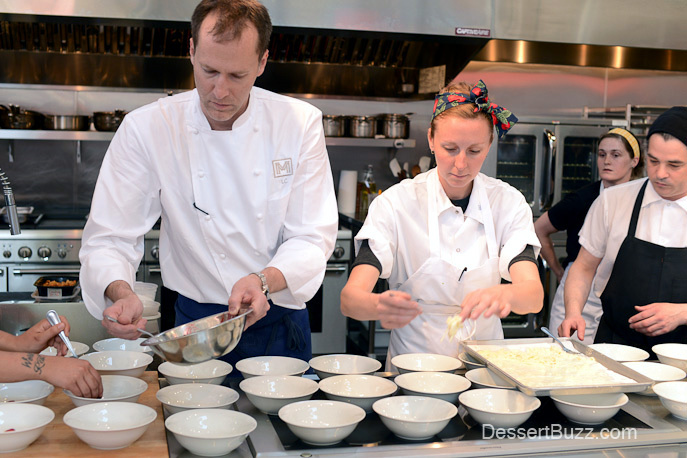 Here’s the recap from the first Killed By Dessert in New York City. For live updates follow DessertBuzz on Twitter. 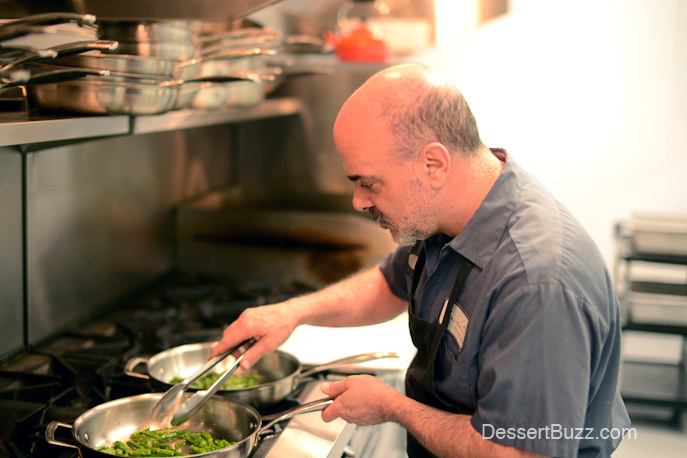 Also see my dessert column on Serious Eats New York. More inks: For a deep-dive description of both the dinner and the Bake Sale check out: Stellina Sweets.